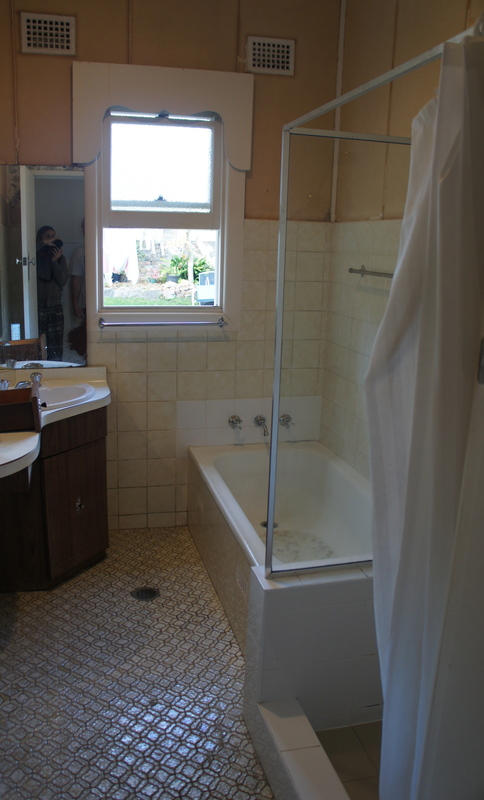 “Before” picture of our bathroom. 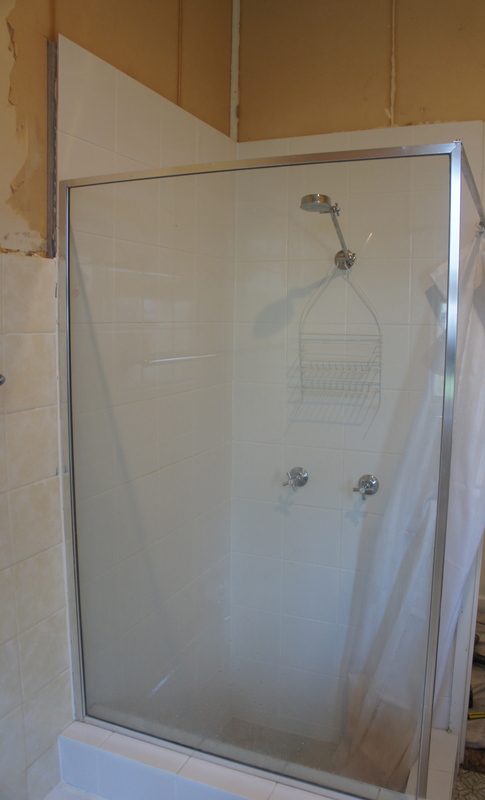 “Before” picture of the shower. 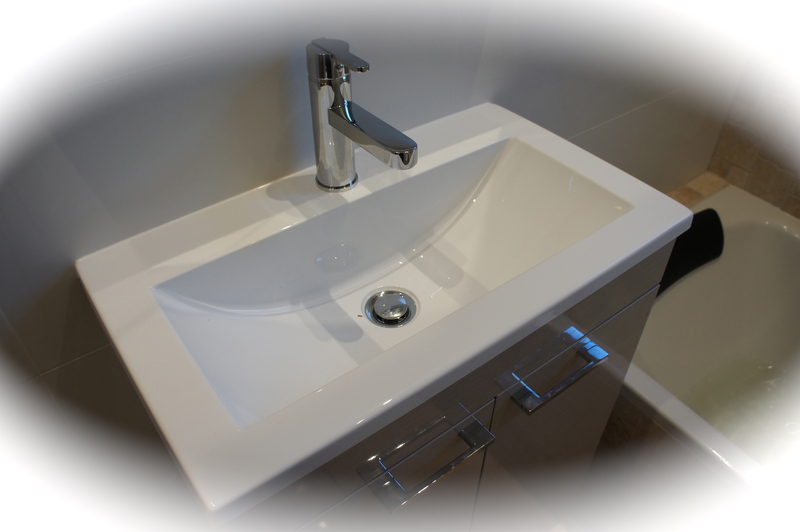 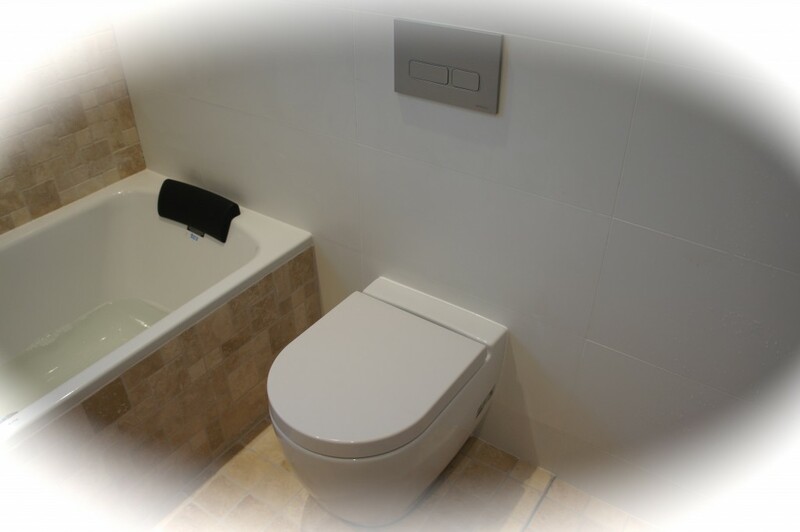 We chose an in-built cistern for the toilet to maximise the floor space in our small bathroom. 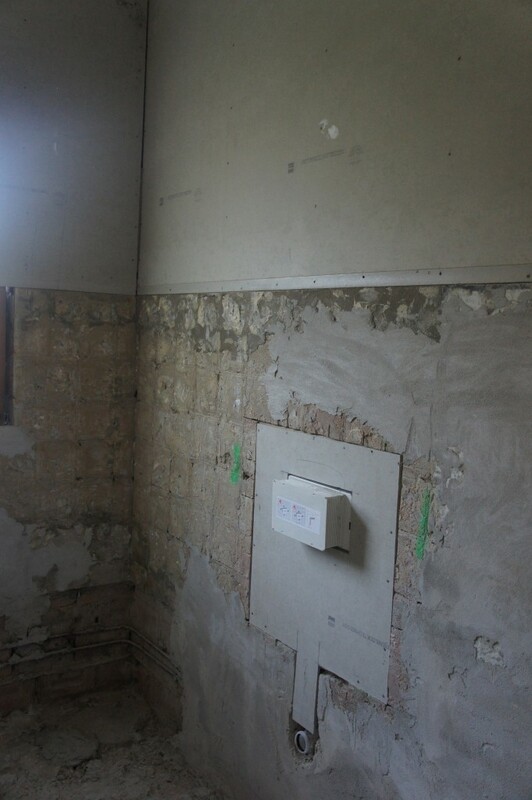 This was recessed into the wall after the strip out. 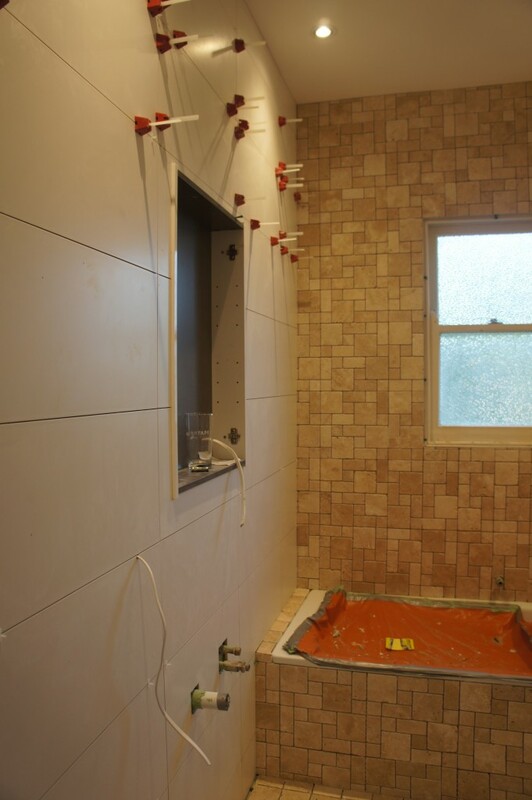 Shower niche being built in the shower. 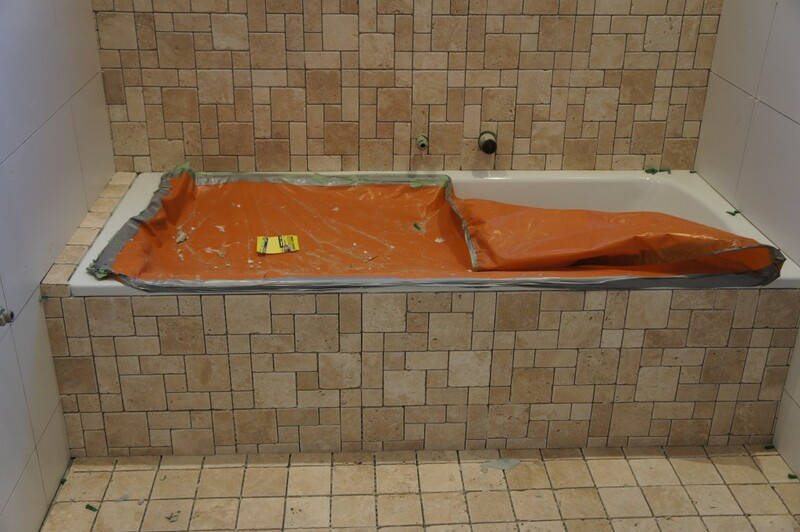 New bath tub set into place. 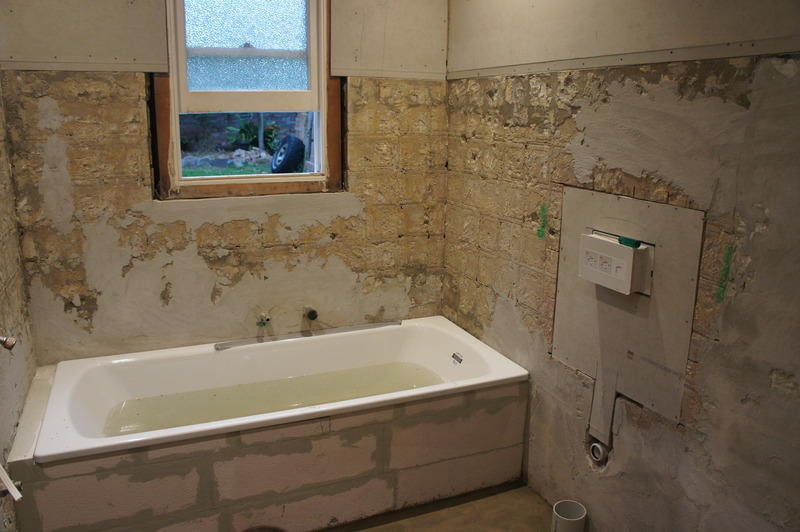 Rough-in complete by plumber, for bath, toilet, vanity and shower. 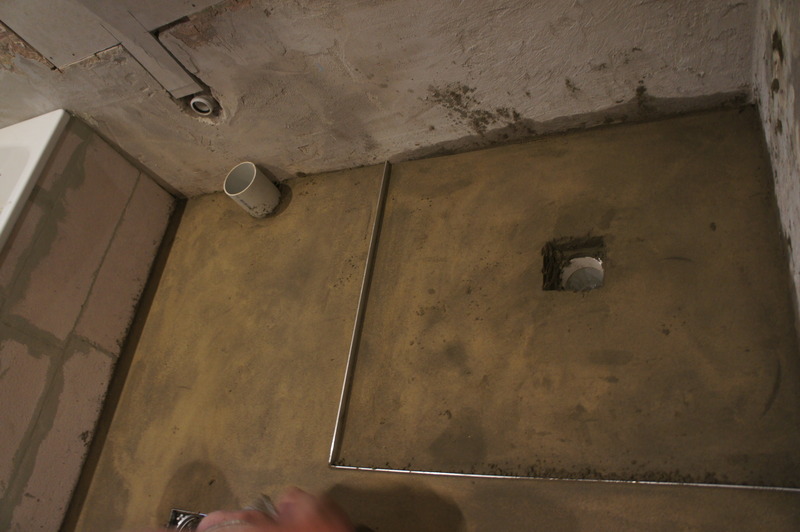 Waterproofing & screeding the floor, to suit required falls down the new drains. 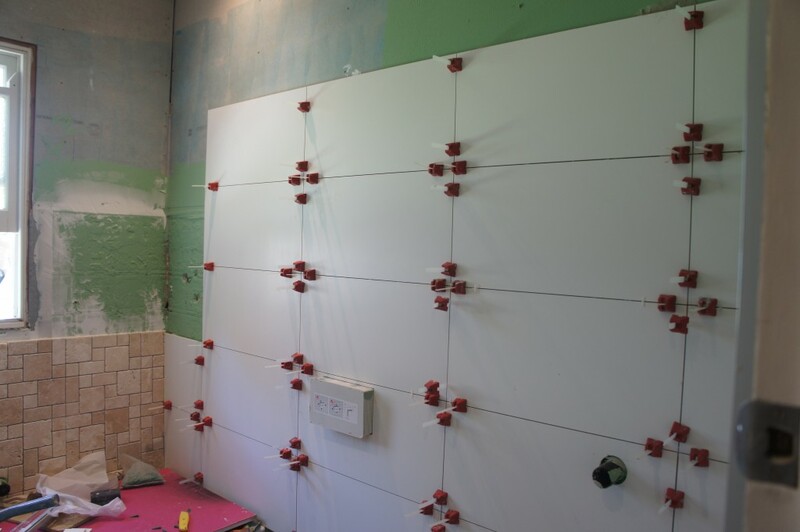 Tiling using Tuscan Levelling System, to maximise an even flush tile on the walls. 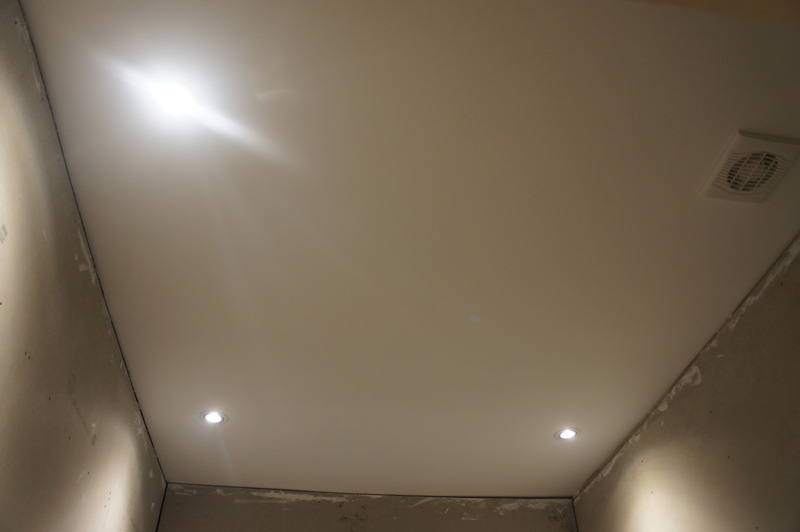 New gyprock roof and down lights with fan fitted by the electrician. 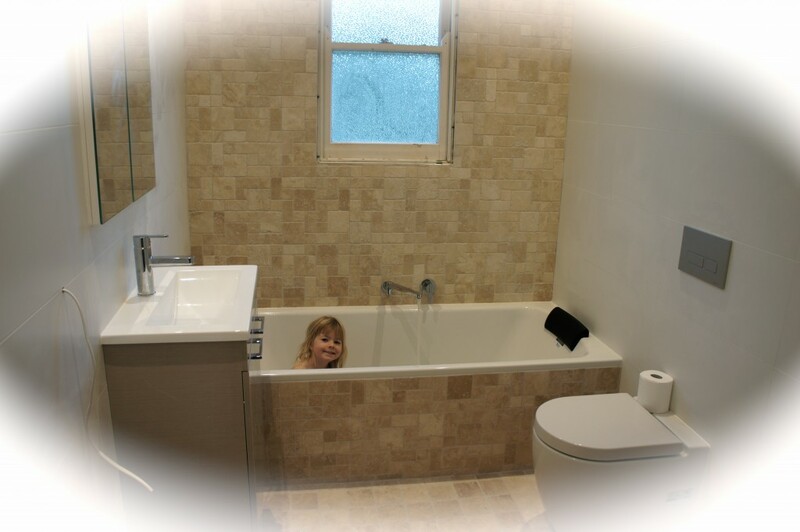 Feature wall tiled using Travertine French Pattern tiles & floor using Travertine 100 x 100 tiles. 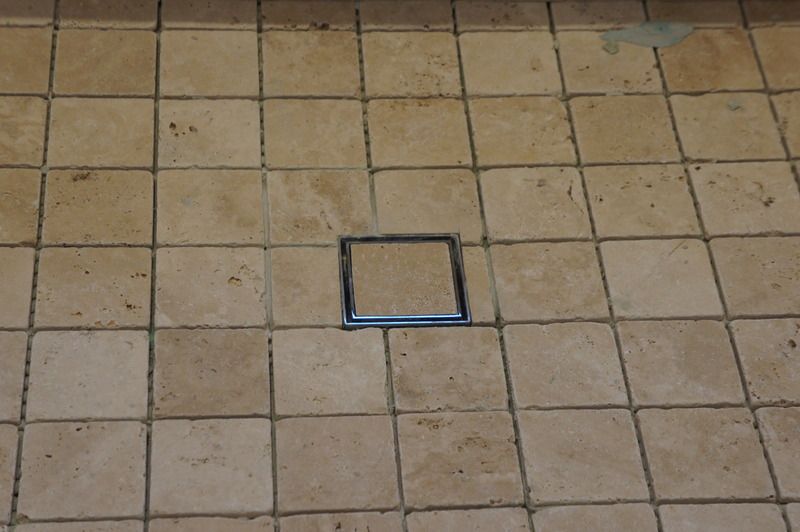 Grouted in Mudberry Ardex grout. 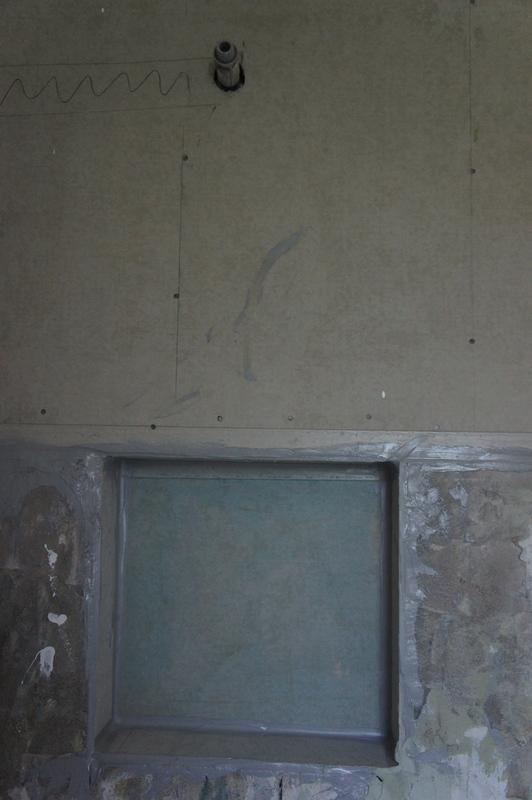 Sealed after job is complete. 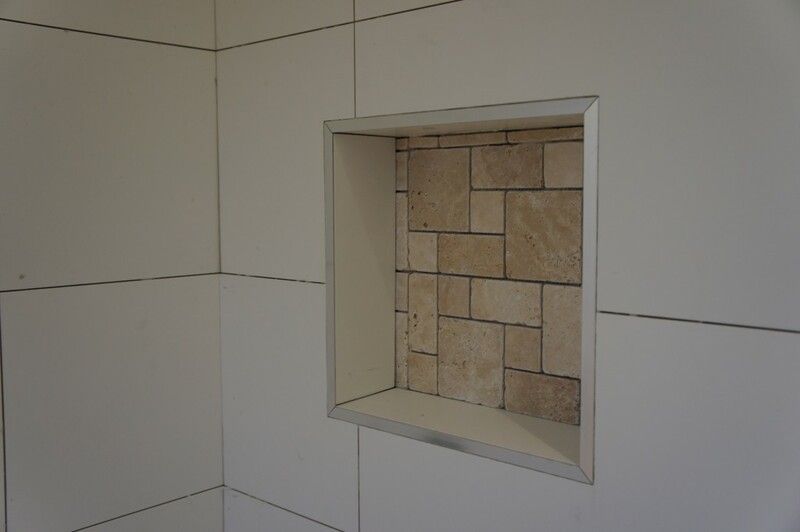 Walls tiled using 600 x 300 Matte white Rectified tiles. 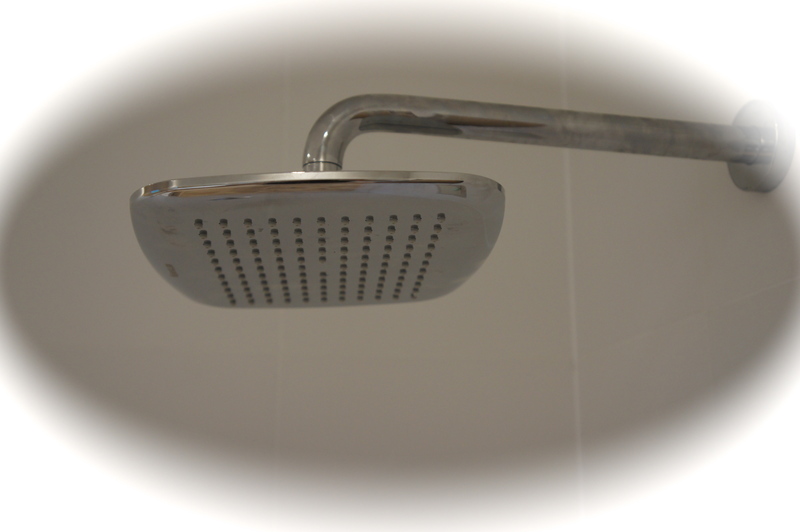 New shower rose – water saver.